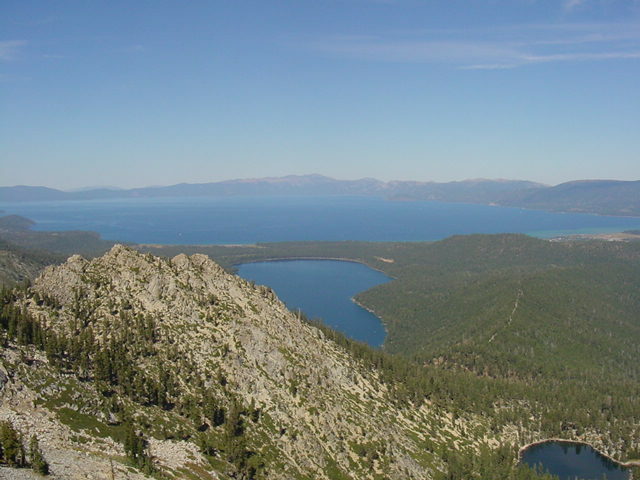 East to Heavenly Ski Resort, State Line, East Peak, and Monument Peak. 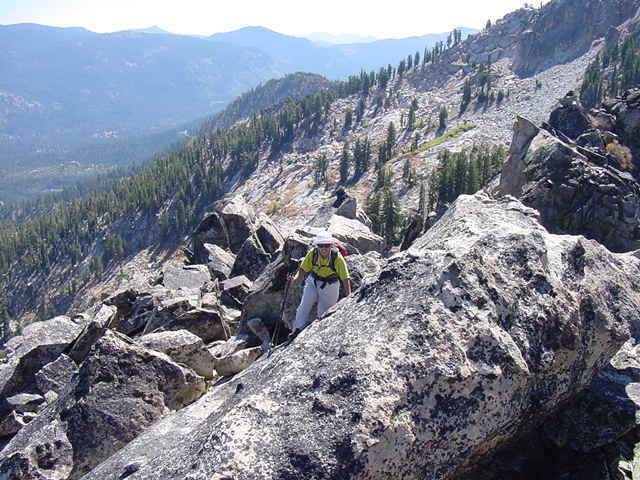 North and down to the Angora Lakes. 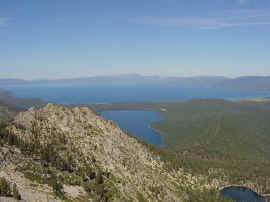 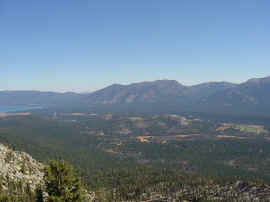 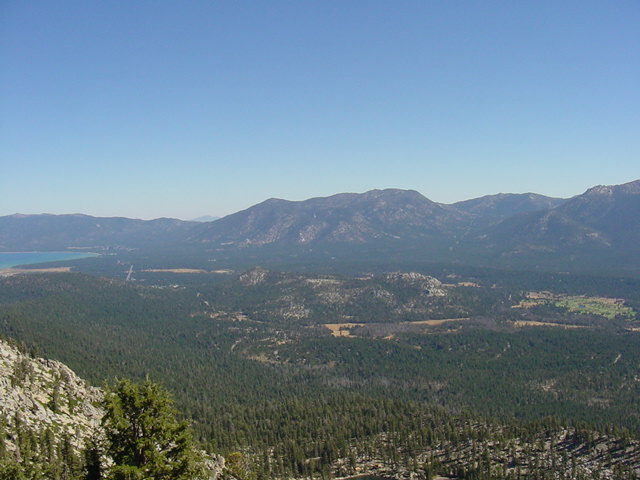 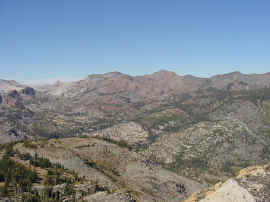 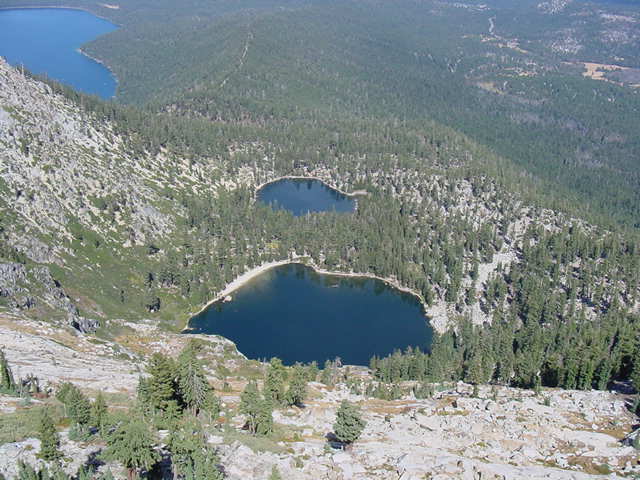 In the upper left is Fallen Leaf Lake and to the right is the Angora Fire Lookout Ridge Road. Hanapepe scaling the summit block of Indian Peak, the second of three named peaks she climbed in one day.